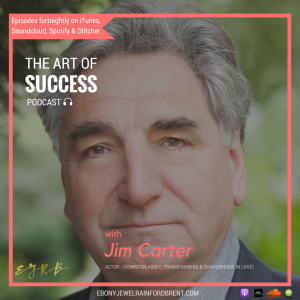 This week on the podcast I sit down with Downton Abbey actor Jim Carter. Jim has been involved in numberous on screen and theatre productions over his 47 year career in the entertainment industry including roles such as Carson in Downton Abbey, Shakespeare in Love and the Transformers. – His advice on being bold and brave when approaching life. This entry was posted in Inspiration, Motivation, Peak Performance, Personal Development, Podcast, Success by Ebz. Bookmark the permalink.